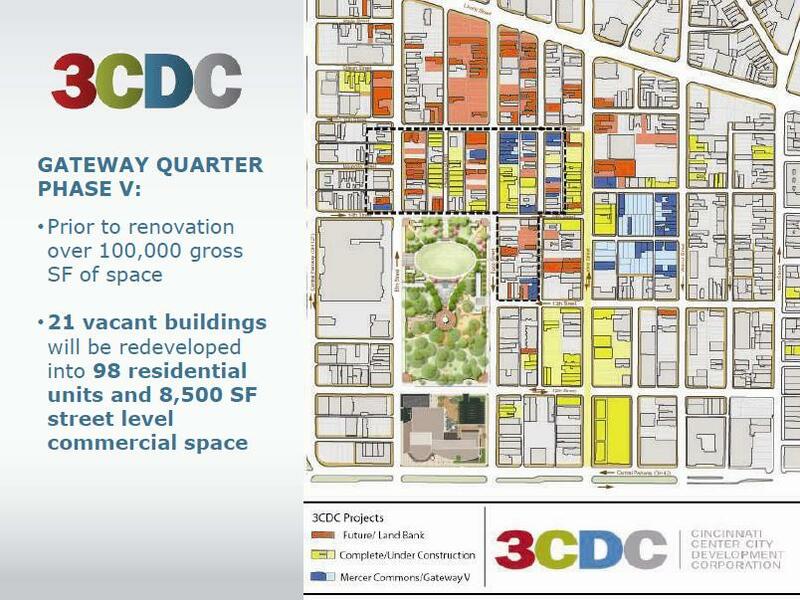 3CDC‘s phased approach at development in Over-the-Rhine is moving forward and leaving many successes along the way. To read the sources of the information shared in this post, check out 3CDC’s 2010-2011 Annual Progress Report and July 2011 Work Group Report at the end of this post. 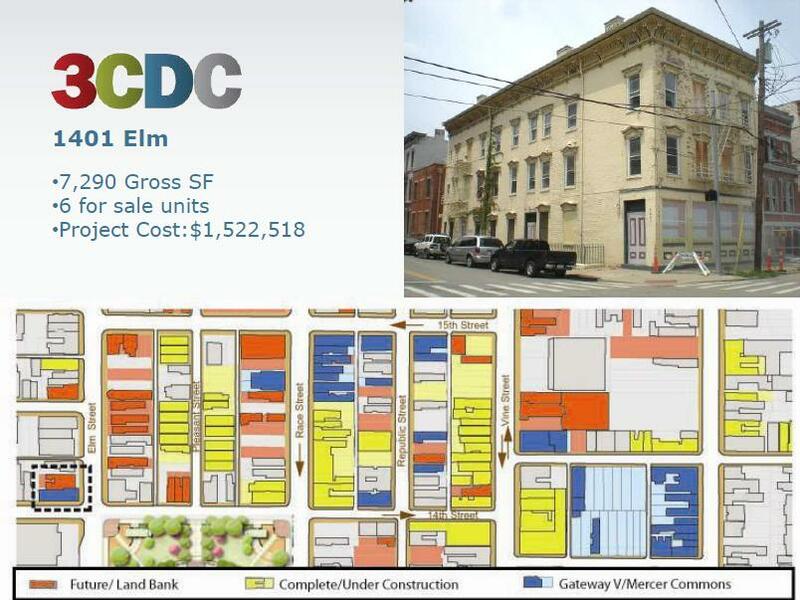 Other ongoing projects in Over-the-Rhine include Mercer Commons and Meiner Flats, neither of which are discussed in this post. 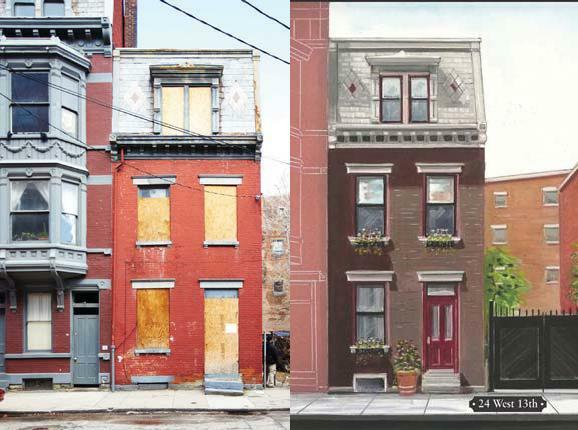 PARK HAUS – 3CDC is embarking on a new program pertaining to single family homes. Nine buildings scattered throughout the Washington Park area were designated for the program due to their size and location. The goal is to allow buyers to select the building of their choice and work directly withthe developers to create a home that caters to their specific needs. 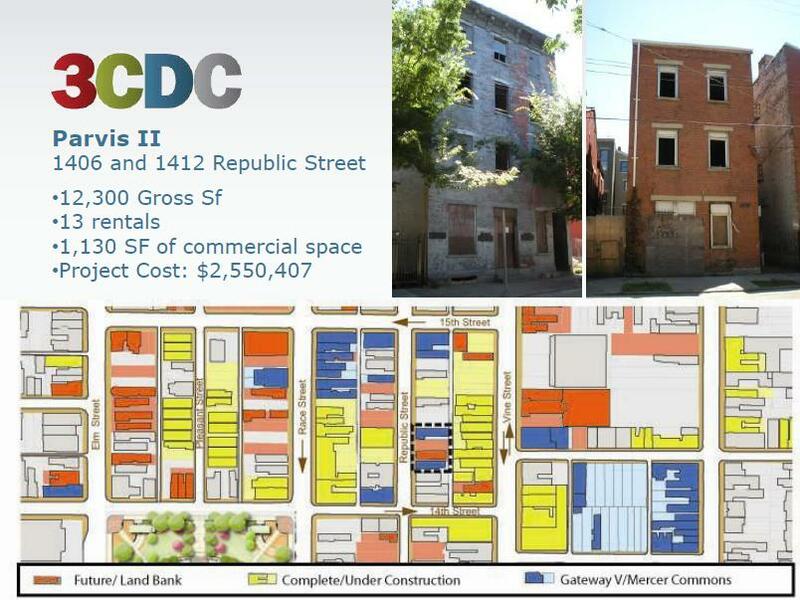 PARVIS II – 3CDC is partnering with the Northpointe Group on this project which includes two buildings in the 1400 block of Republic Street that will add 10-12 units to the Parvis Lofts rental development. It is scheduled to begin in December 2011. 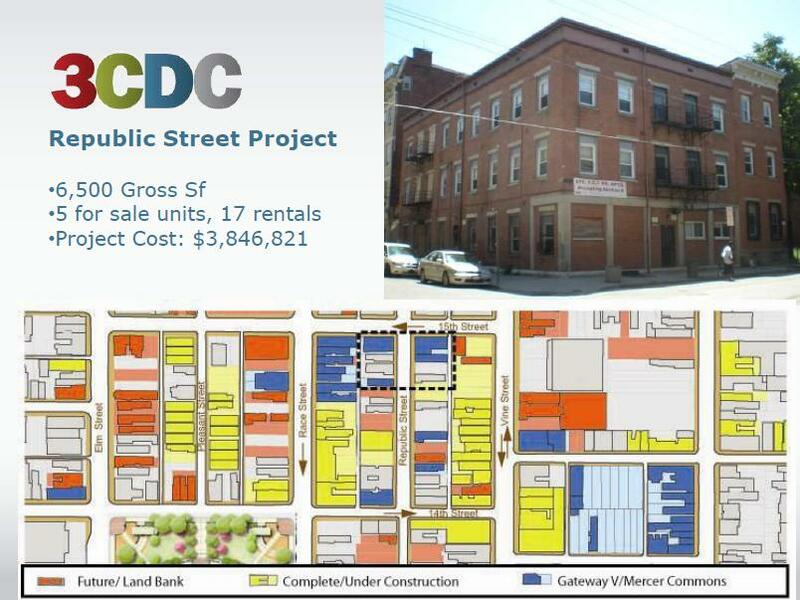 REPUBLIC STREET PRJOECT – This project, to be developed by Mottainai Developers LLC, is at the corner of 15th and Republic streets and will help complete the development of the 1400 block of Race, Republic and Vine streets between Saengerhalle and Parvis Lofts. 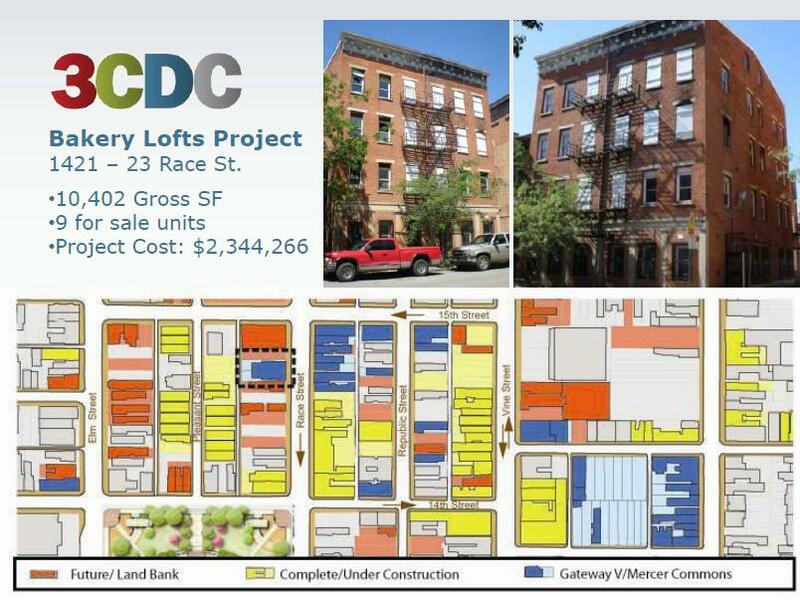 The project includes four buildings that will yield approximately 23 residential units, 5 for sale, and the remainder for rent. It is scheduled to begin in December 2011. 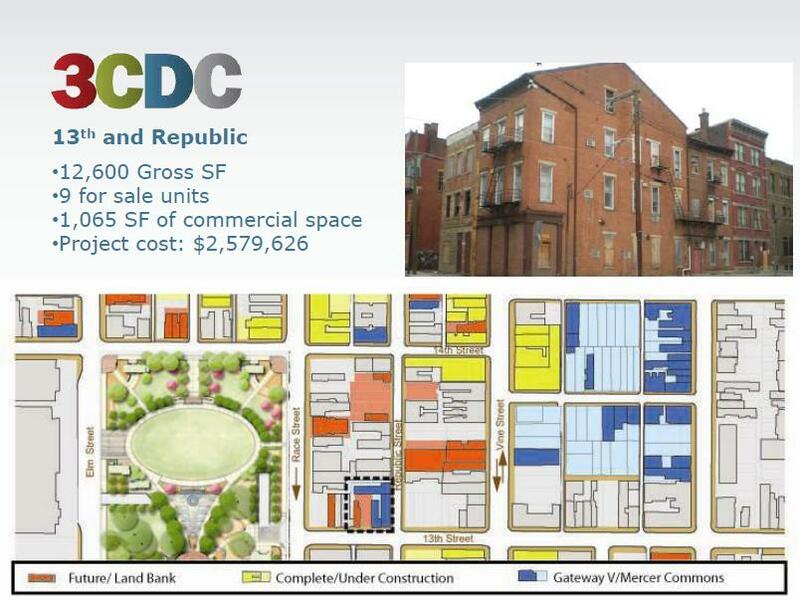 NICOLAY – A 7-10 unit condo project at the corner of 14th and Republic streets directly behind 3CDC’s offices, will be developed by the Northpointe Group. It is scheduled to begin in December 2011. 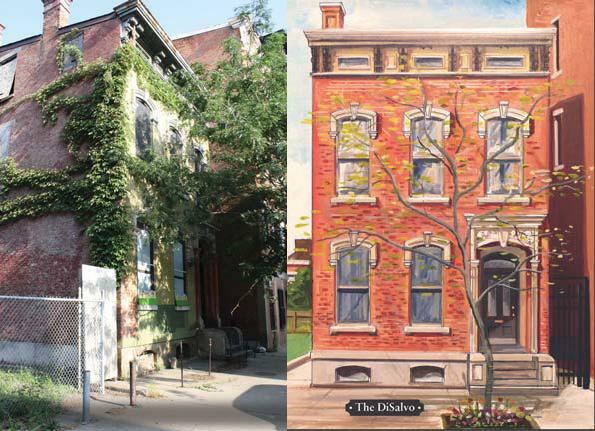 COLOR BUILDING – One of Cincinnati’s most iconic buildings in Overthe- Rhine, located at 1400 Vine Street, will include the restoration of the 9,300 square feet space into premiere office space. The project is scheduled to begin in Fall 2011. 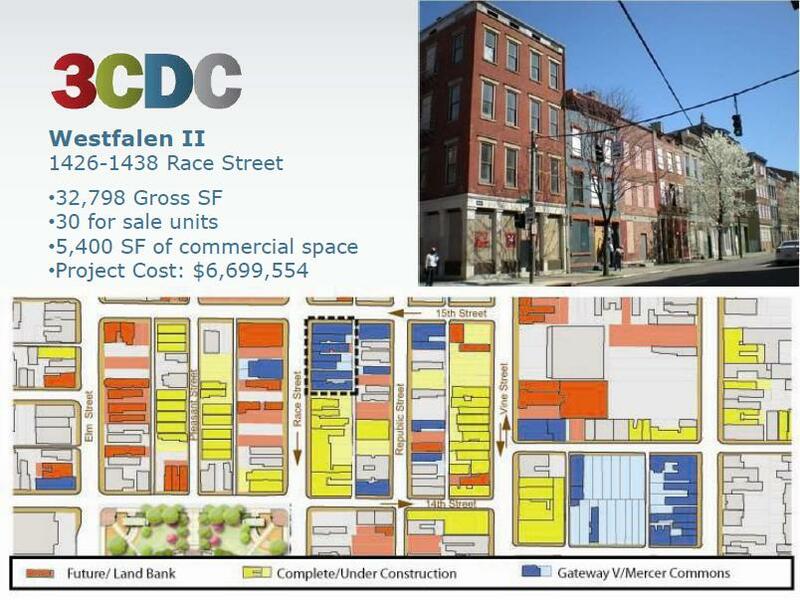 WESTFALEN II – A 25-unit condo project will complete the east side of the 1400 block of Race Street just north of 3CDC’s offices. The project includes six buildings and will be completed by John Hueber Homes and Northpointe Group. It is scheduled to begin in January 2012. 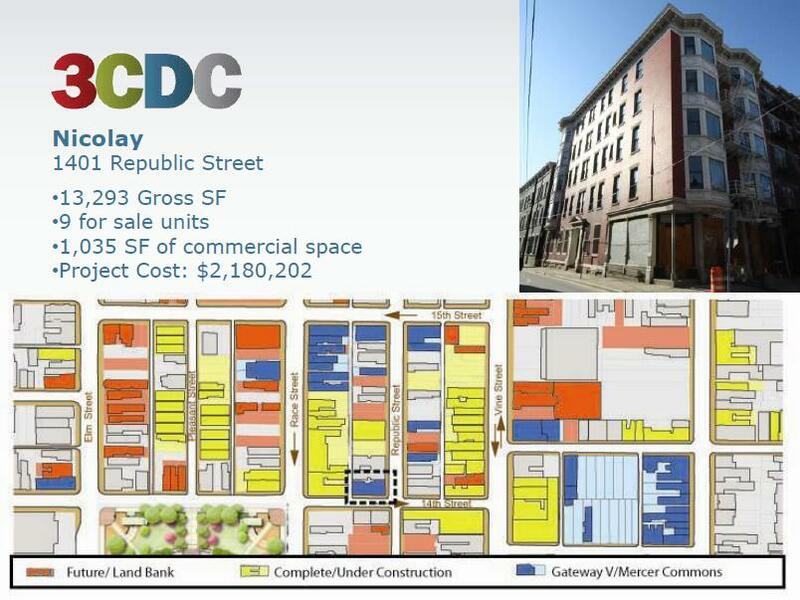 13TH AND REPUBLIC – 3CDC is working with developer City Lofts to develop this 10-unit condo project that spans three buildings at the corner of 13th and Republic streets across from the recently sold-out Lackman building. It is scheduled to begin in November 2011. What’s Harper Sloane? Anyone know? 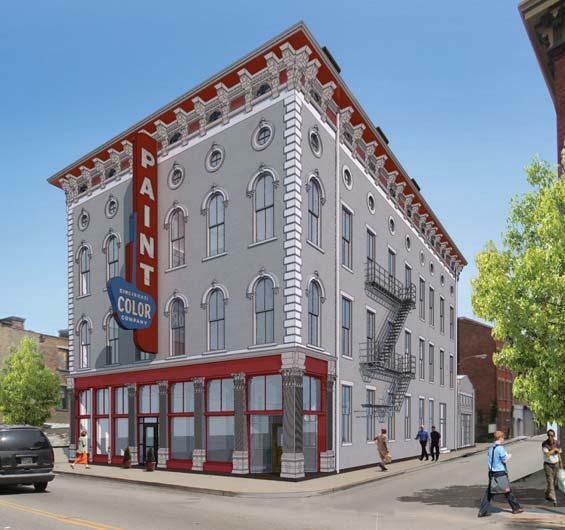 From the rendering, it looks like the plan is to retain the Cincinnati Color Company sign. I really hope that’s the case; I don’t want it removed! The Color sign will be retained. Not 100% sure about Harper Sloane. Harper Sloane is a women’s clothing boutique. It should be open before Christmas. Dry cleaner?!? Is that what on the Run Cleaners is? And is 1332 the storefront immediately next to ionic collective? Google won’t let me know. Yes! On the Run Cleaners is a dry cleaner. Customers drop off and pick up their laundry at 1332 Vine and the cleaners clean it off-site. What’s going on with the Wielert’s building? 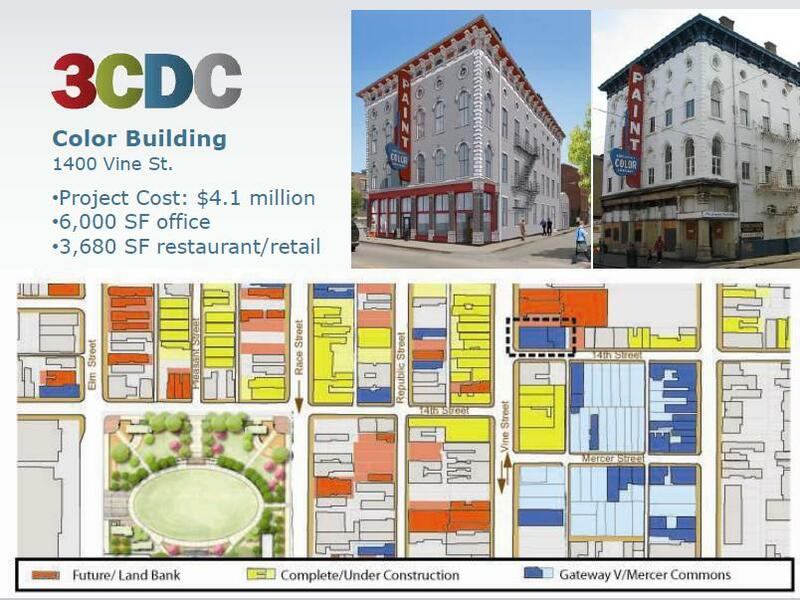 Not sure what the official plan is yet for Wielert’s, but 3CDC owns it. LOOKS LIKE 3CDC IS THE ONLY GAME IN TOWN? What’s going into Roh’s Hardware? Last I heard, a wine shop.